European leading web hosting provider, HostForLIFE.eu announced support for DotNetNuke 7.3.4 hosting plan due to high demand of DotNetNuke CMS users in Europe. HostForLIFE.eu proudly launches the support of DotNetNuke 7.3.4 on all our newest Windows Server environment. HostForLIFE.eu DotNetNuke 7.3.4 Hosting plan starts from just as low as €3.00/month only and this plan has supported ASP.NET 5, ASP.NET MVC 5/6 and SQL Server 2012/2014. DotNetNuke 7.3.4, as well known in the web industry and familiar among .NET developers, is a Web Content Management System (WCMS) based on Microsoft .NET platform. It is an excellent open source software that you can use to manage your website without having much technical knowledge. HostForLIFE.eu clients are specialized in providing supports for DotNetNuke for many years. We are glad to provide support for European DotNetNuke 7.3.4 hosting users with advices and troubleshooting for our clients website when necessary. DNN 7.3.4 is a smaller maintenance release than normal and is focused on addressing the most serious platform issues. DNN 7.3.4 addresses a number of platform issues and should be the last release before DNN 7.4.0. DNN 7.3.4 added ability to save localized lists to resource file, added method to remove all subscriptions from a ContentItem, fixed issue where AUM was not correctly handling 301 redirects, Fixed issue where popup iframe is not initialized correctly and fixed issue where multiple region/country controls in a profile did not work correctly. DotNetNuke 7.3.4 will be a great content management system that support many advance website features such as blogs, forums, e-commerce system, photo galleries and more. 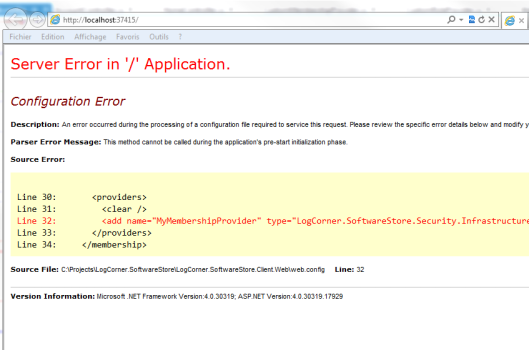 DotNetNuke 7.3.4 is a great platform to build your web presence with. HostForLIFE.eu can help customize any web software that company wishes to utilize. 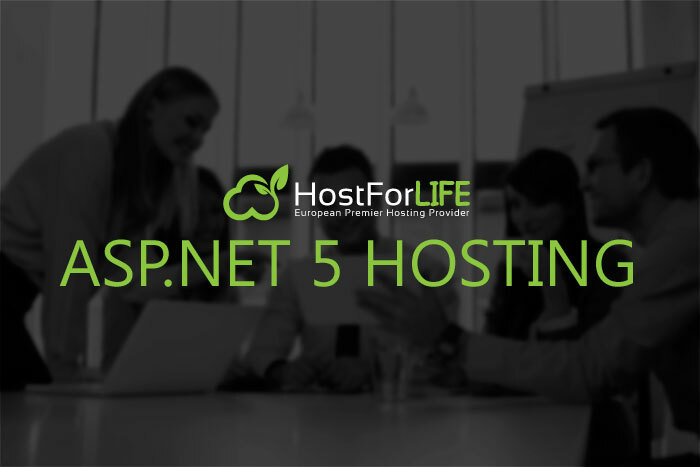 HostForLIFE.eu is awarded Top No#1 SPOTLIGHT Recommended Hosting Partner by Microsoft (see http://www.asp.net/hosting/hostingprovider/details/953). Our service is ranked the highest top #1 spot in several European countries, such as: Germany, Italy, Netherlands, France, Belgium, United Kingdom, Sweden, Finland, Switzerland and other European countries. 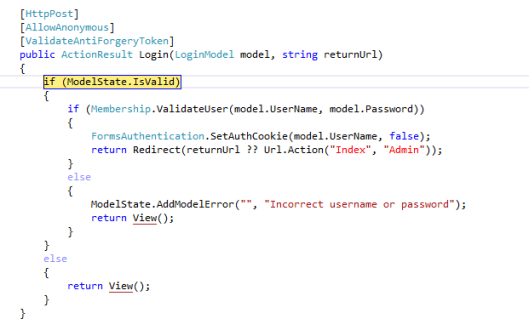 ASP.NET MVC 6 Hosting Germany - HostForLIFE.eu :: How to Create Random Authorization code in c# in ASP.NET MVC ? 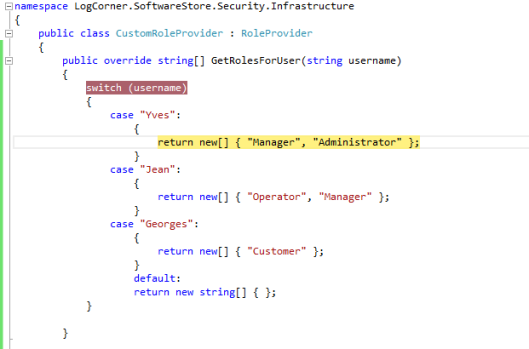 Now, with this article I am going to create random 15 characters long authorization number in ASP.NET MVC 6. This can be used for several completely different purposes in your MVC application like unique barcodes, authorization codes etc. to make thinks more fascinating we are getting to force the method to place letter before and after random code. GenerateLetter method is responsible to provide us only letter. I used this code based on small tutorial. I am calling GenerateLetter method twice before & after random 13 characters code is generated. I also want to make sure that code is always unique so I am calling Database to find if any product already have this barcode, if so my method will repeat whole process. At this moment, I am going to explain about create jQuery Accordion in ASP.NET MVC 5. This is very simple and easy to develop a jQuery accordion in ASP.NET MVC. If we need to implement any jQuery UI widgets in ASP.NET MVC there there is no need to do any extra work. 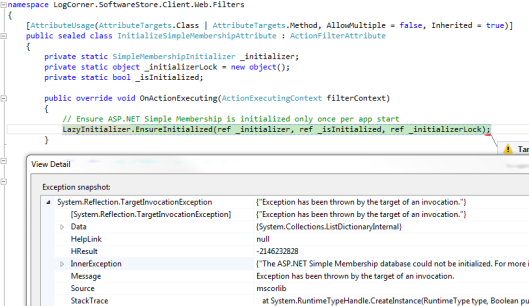 This is a cool feature of ASP.NET MVC. 1. Create a blank ASP.NET MVC application. 2. 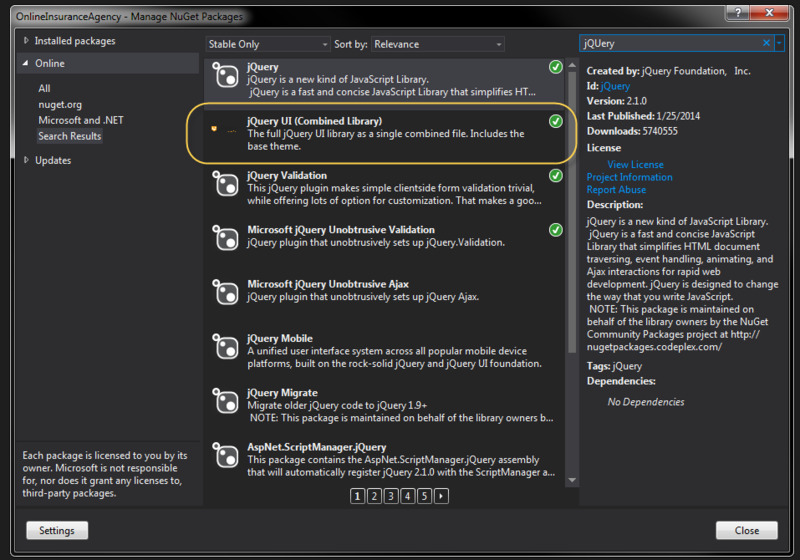 Download the jQuery and jQuery UI libray fron Nuget Package Manager in the apps. 4. Make the Index view and implement the jQuery and style sheet as in this code snippet. The update also addresses three other cross-site scripting vulnerabilities, a cross-side request forgery flaw, a denial-of-service bug related to password checks, server-side request forgery issues, and what WordPress called “an extremely unlikely hash collision” that could lead to account compromise. 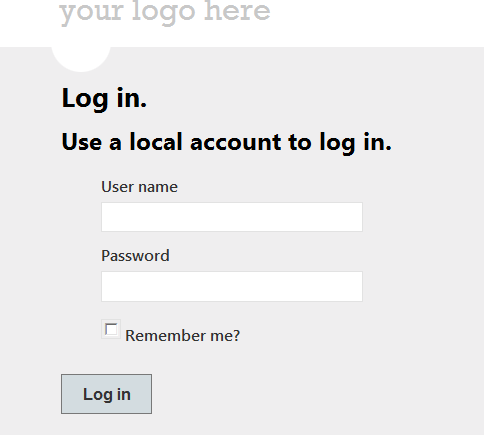 WordPress said it also invalidates links in a password reset email if the user remembers our password and logs in and changes our email address. For those of you using ASP.NET MVC and hoping to receive a little guidance on how to implement a jQuery UI DatePicker widget on a date input field, as well as the appropriate way to pass dates from the view back to the controller, the following article is just for you. The first gotcha was to download the entire jQuery UI (Combined Library) package from Nuget. Downloading the older jQuery UI DatePicker package has some incompatibilities with the jQuery core framework that the bootstrap template needs to function correctly. The next step is to extend the model you are using to support a datetime field you’d like to manage with the jQuery UI DatePicker. Take a look at the DateOfBirth field in the code below. Extending the view to support this datetime field is pretty straight forward razor coding. The one thing to notice in this piece of code is the “datefield” css class used in the TextBoxFor method. We’ll be using the class later on to allow for easier jQuery UI DatePicker widget initialization. It also allows for more reusability across your applications. The code to initialize any jQuery UI DatePicker widgets is only 3 lines of code. We utilize the “datefield” css class here as a generic selector so all input fields with this class will transform into jQuery UI DatePicker widgets. The final touch is to include all required .js and .css files necessary to a common layout which provides this codes use throughout your web application. If you are concerned about page load times you can cherry pick where you’d like these includes to go. The nice thing about this approach is that ASP.NET MVC5 takes care of all the model binding for you since the jQuery UI DateTime picker sets the input field as a valid date value that native model binding understands. By the time you get to your controller you’ll have your datetime value set. On this tutorial, I will show you how to create a simple API in ASP.NET MVC 5 that could return both collection of movies or one movie in Json format naturally, but depends on browser outcomes could be displayed in XML format. I targeted only on GET method during this tutorial. 1. Let’s make a new ASP.MVC apps in Visual Studio. 2. In models create interface IMoviesRepository, class Movie and MoviesRepository. Create interface first after which MovieRepository that could inherit IMoviesRepository and merely correct click on class name and apply Implement Interface. 3. Then create new folder to your main project WebApiControllers and create Api Controller.Call itMoviesController.cs. Calling default constructor can ensure that all repositories are set up. It's great practice to call all services that could be needed for controller - we're ensuring which our application is loose coupled. If you're acquainted with dependency injection this is very typical concept. 5. And this code below will improve GetById method. If movie can’t be found we want to return HttpResponseException. With this article, I want to tell you about develop custom a HTML Helpers, thus that many of us could use inside the MVC 5 views, utilizing HTML Helpers class we will decrease the massive level of typing of HTML tags. A HTML Helper is simply a method which returns a string. The string can represent any kinds of content that you need. As an example, you are able to use HTML Helpers to render standard HTML tags such as HTML <input> and <img> tags. You can also use HTML Helpers to render a lot of complicated content such as a tab strip or an HTML table of database data. ASP.NET membership is designed to enable you to easily use a number of different membership providers for your ASP.NET applications. You can use the supplied membership providers that are included with the .NET Framework, or you can implement your own providers. There are two primary reasons for creating a custom membership provider. You need to store membership information in a data source that is not supported by the membership providers included with the .NET Framework, such as a MysQL database, an Oracle database, or other data sources. You need to manage membership information using a database schema that is different from the database schema used by the providers that ship with the .NET Framework. 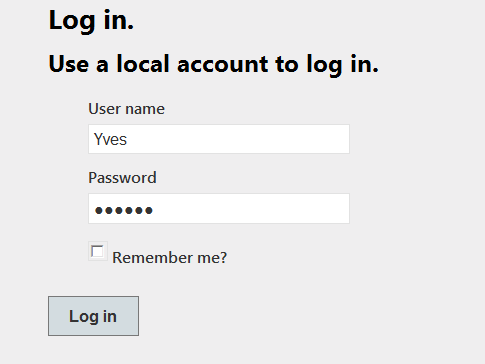 A common example of this would be membership data that already exists in a SQL Server database for a company or Web site. ASP.NET MVC 5 Hosting Germany - HostForLIFE.eu :: How to use jQuery UI in ASP.NET MVC 5 ? 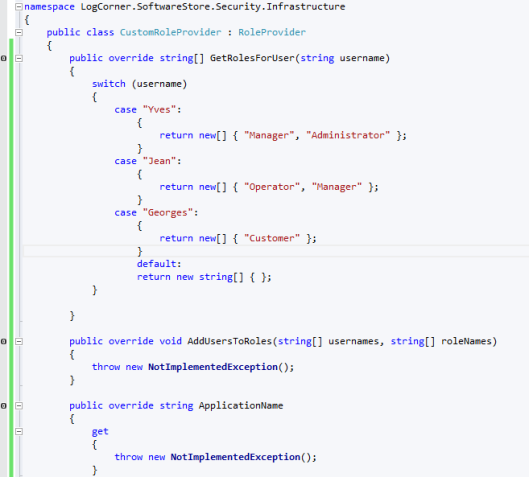 Add the jQuery UI reference straight into the project by using the NuGet manager. Once this is done, you ought to discover the reference additional inside the Content folder and also the Scripts folder. Obviously you will see the jQuery bundle at the end from the layout file. To work along with jQuery UI widgets, you ought to transfer the jQuery bundle to the top of the file and likewise include the bundles for jQuery UI CSS and Scripts. You've currently completed the 3 steps needed to work along with jQueryUI inside an ASP. NET MVC application. Be certain the view is using the layout file in which you added the reference from the bundles.